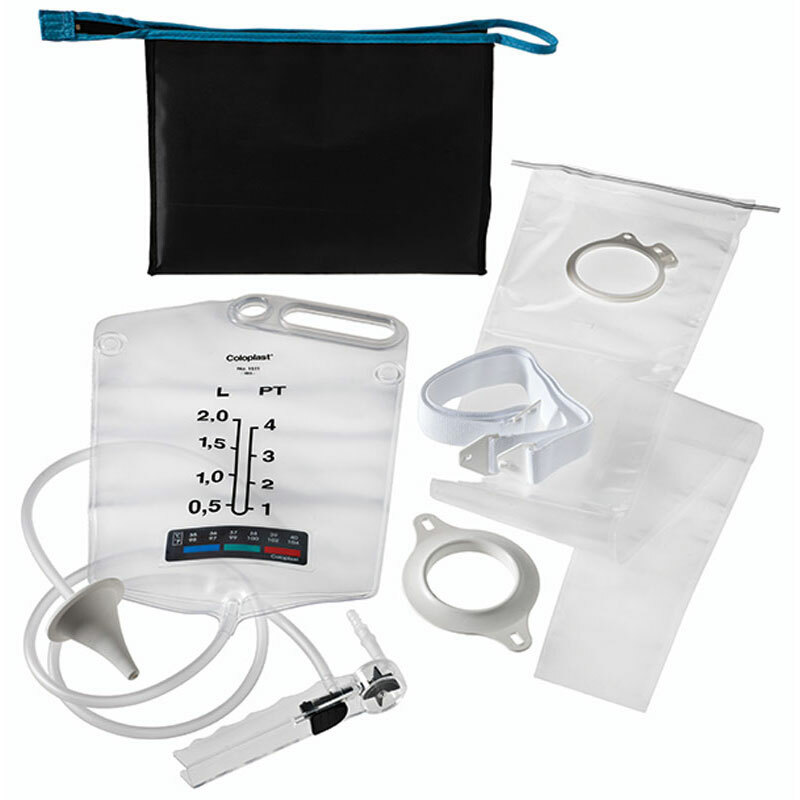 Coloplast irrigation set is comprised of a durable water bag with integrated thermometer in bold print and has a large opening. Can be used with one- or two-piece systems. All components are supplied in a travel bag.